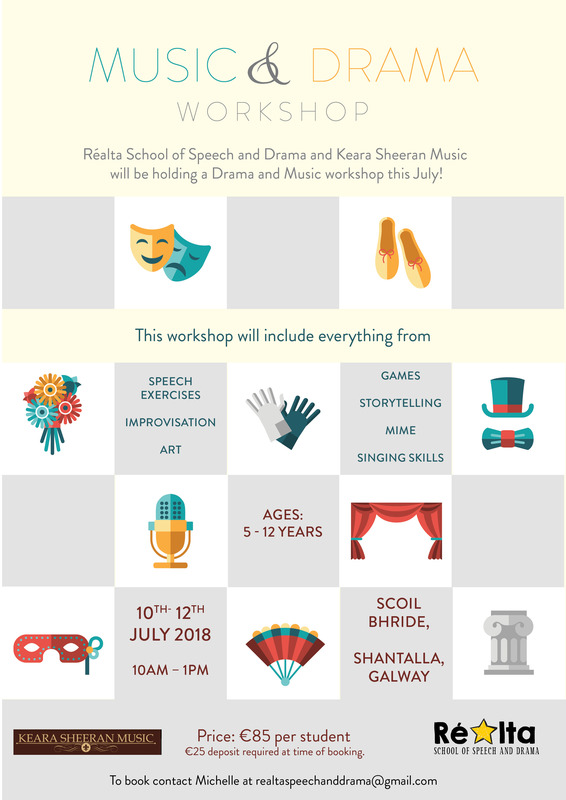 Réalta School of Speech and Drama and Keara Sheeran Music are joining forces for a very exciting workshop this Summer. This Speech and Drama and Music workshop is aimed at providing children with valuable tools in expression via music, singing and spoken word. Using their combined skills and experience, Michelle and Keara will leave your child feeling fantastic and perhaps with a new found of love of music and the arts! €25 deposit required at time of booking.